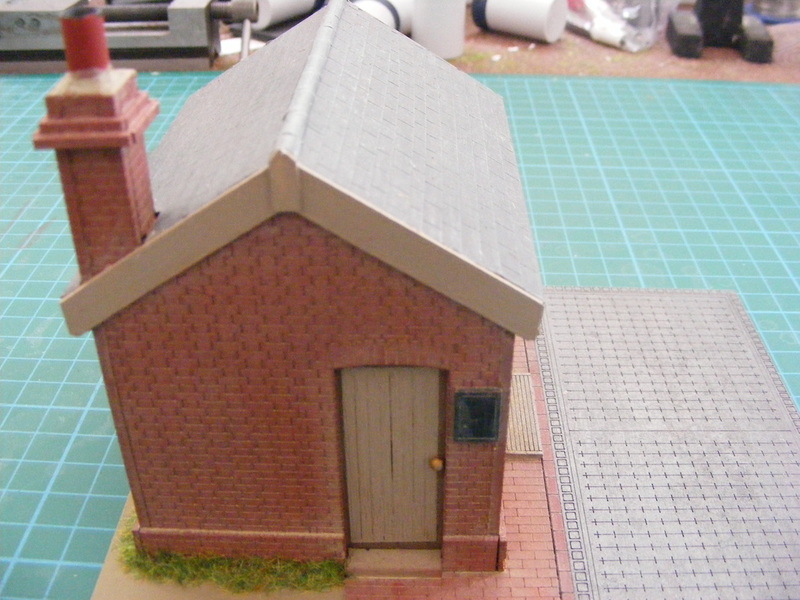 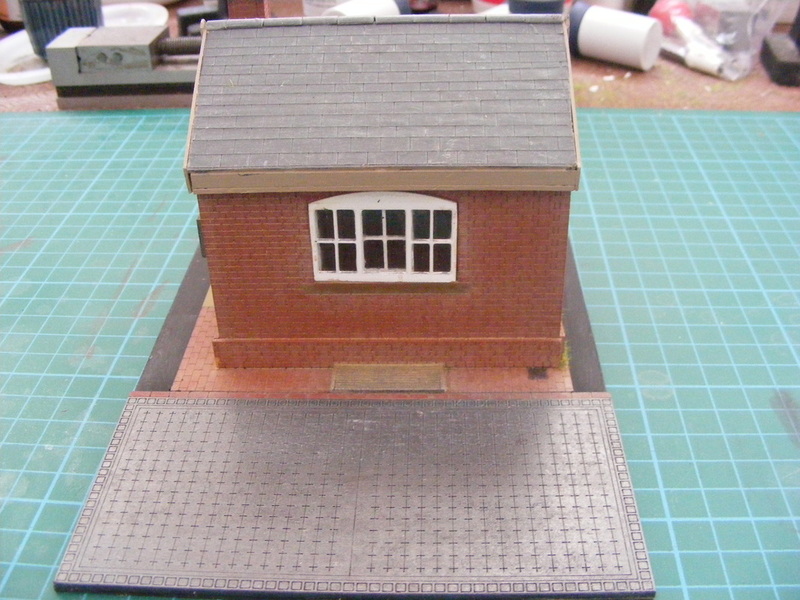 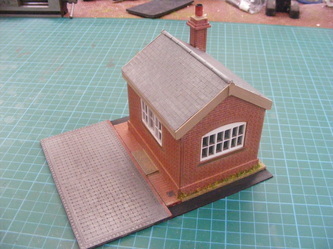 A few pictures of the finished GWR weighbridge and office now that the guttering and downpipes have been finished and attached. The brackets are made by getting 2 pieces of 1mm copper wire, wrapping them round the pipe, and then twisting together to form a spigot. 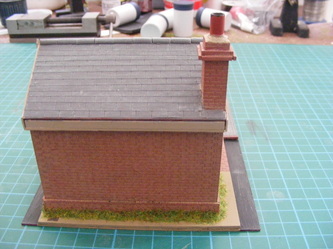 This is then trimmed to length, some holes drilled into the brickwork, and the brackets glued in place. 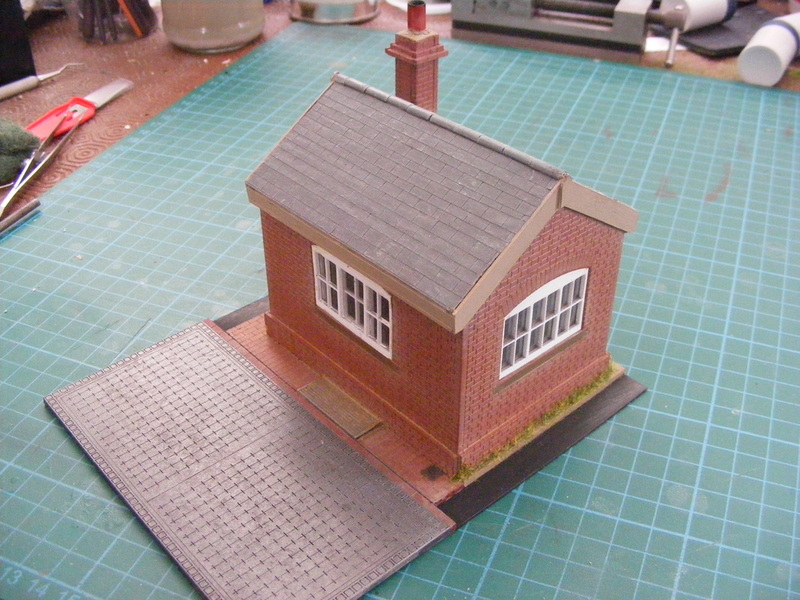 Looks pretty good i think........................mmm. That's only my opinion!!!!! 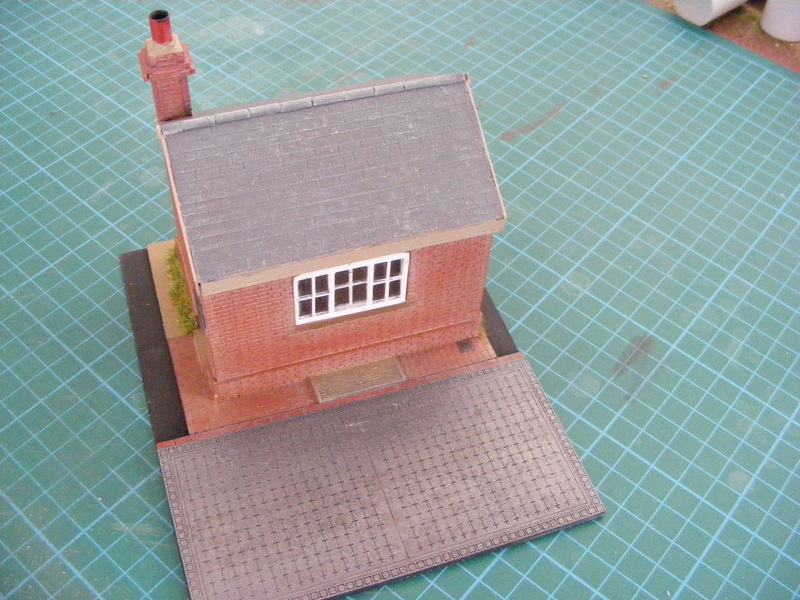 Well, enjoy having a look anyway. 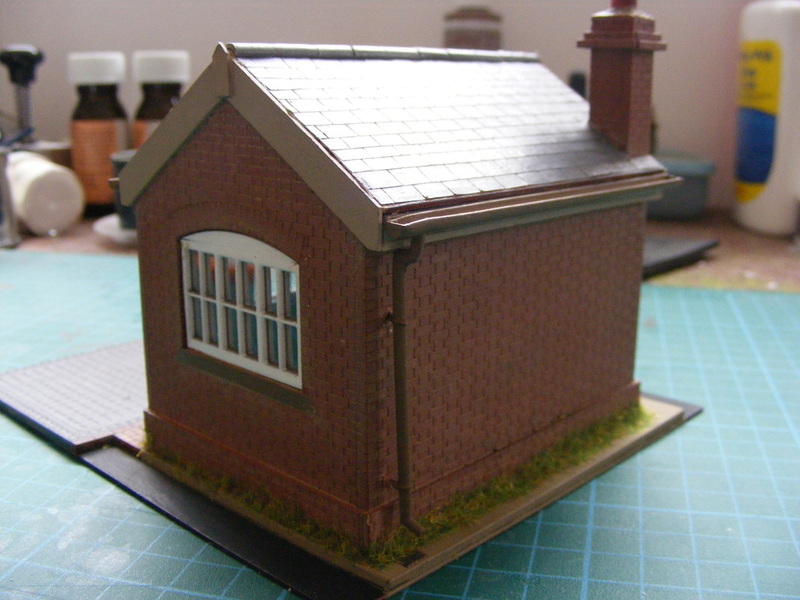 Well, we all make mistakes sometimes don't we? The next set of photographs show something unusual for me to construct. 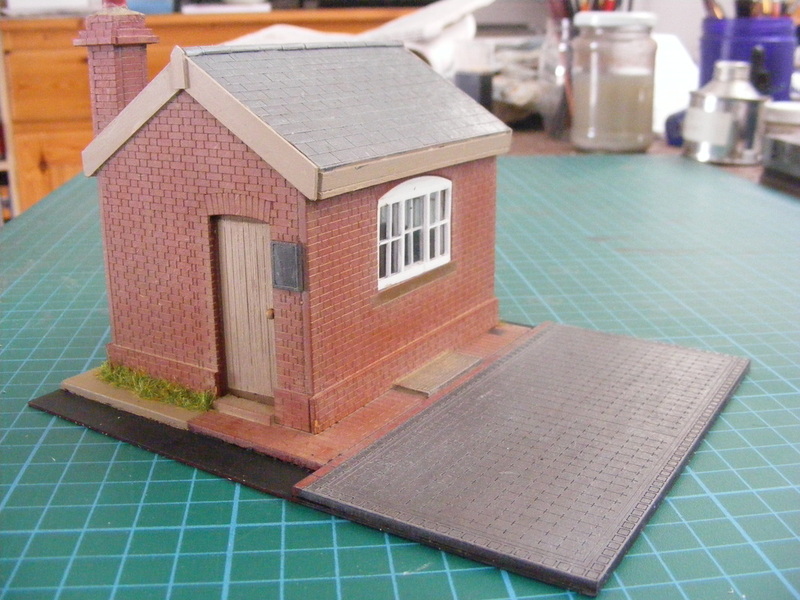 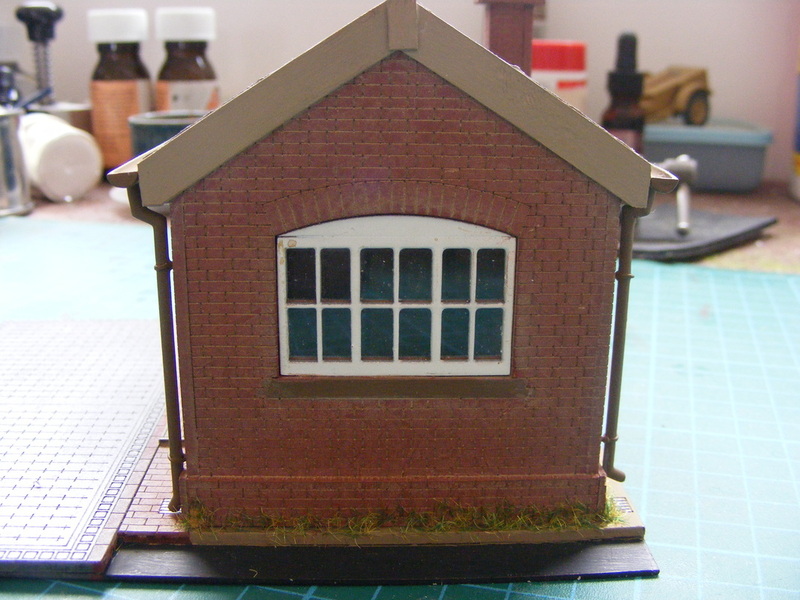 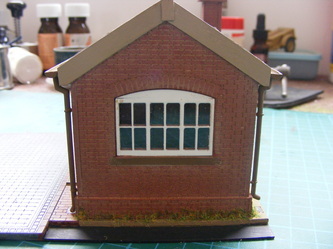 The model is of a typical goods yard weighbridge and office, which were numerous in the days before nationalisation of the country's railways. 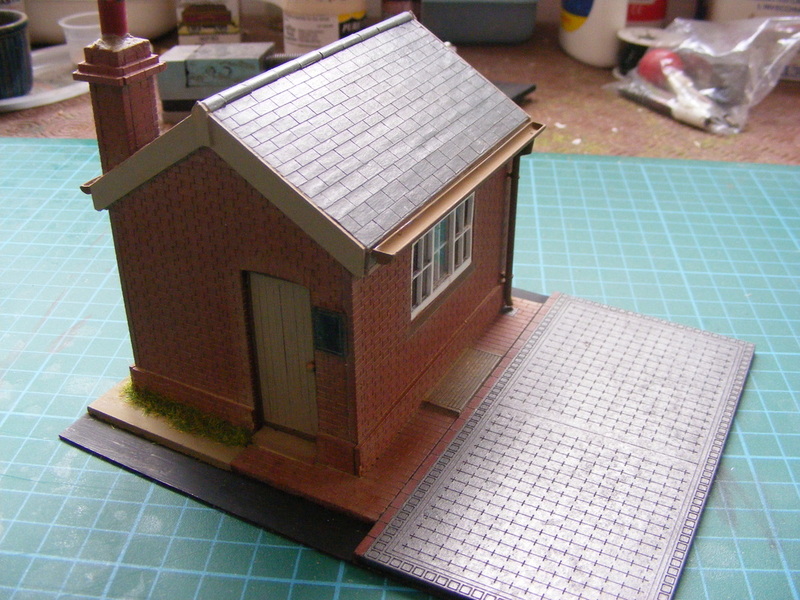 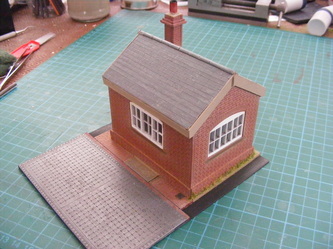 I still have to fit the guttering and downpipes yet, but thought you might like a look at what I've been doing lately.